Building a great PC on a strict budget is not only possible, it’s much more rewarding than spending the same amount of $$ on a store-bought one-size-fits-most. If you need any help along the way, try an online computer repair service to help. I recommend remote computer repair services because the pricing is a lot better than the local guys. I had recently been to Reboot Computer Repairs Brisbane and they were pretty good at getting my computer fixed for a reasonable price. Why is it more rewarding? For starters, you can pack way more power into the components you choose for your pc, because you can pick and choose the best component for your money from different online retailers. This way you’re always getting the best possible value system available in any given month of any year. It’s true that bundled OEM PCs occasionally go on sale, this is even more true for separate parts. The second reason we prefer building from scratch is that you have total control over your system’s components, so you can build specifically for your needs. You can choose to buy high-performance processor and memory capabilities now to determine high speeds for your new build, and wait until you’ve saved up more or the sales are on to upgrade your graphics card. We recommend using PCPartPicker for putting your build together. It offers loads of flexibility across products but actively helps prevent you from choosing incompatible components. It also gives you the option to find the best price for each selected item, even if you’ll have to buy some from separate retailers. If you have any trouble putting your new computer together, or run into some processing issues once you’ve got it up and running, just use an online computer repair service to help you troubleshoot the issue. Although they cannot access the computer (via remote computer repair) if it’s not booting, they offer fairly cheap phone tech support at flat rates. 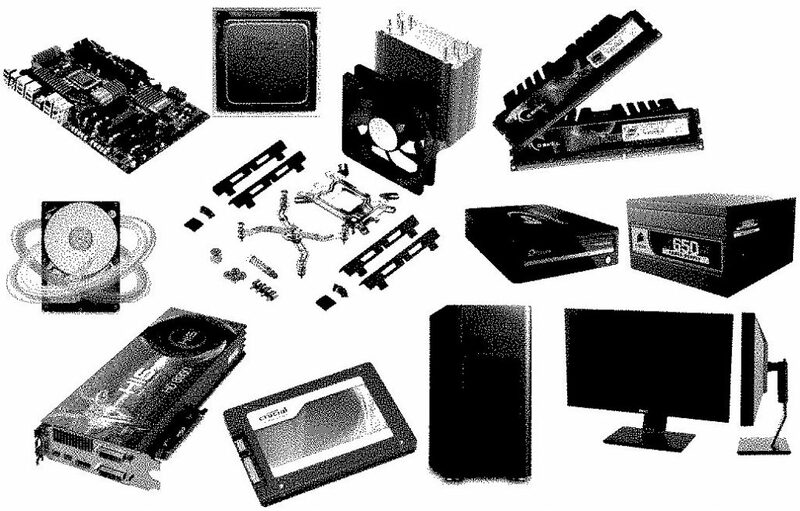 We’ve figured that you’ll need a motherboard, CPU, memory, storage, power supply, and a case. The grand total comes in at about $293 USD last time we checked. For that price (assuming you want a Microsoft Windows machine) in stores, you’re most likely going to only be offered the worst brand there is (HP). You’ll get inbuilt video-out (HDMI, VGA and DVI), 8 channel in-built audio, 32 GB (or up to that) of RAM, gigabit Ethernet, 6 x SATA 3 ports, 8 x USB 2.0 slots, and 4 x 3.0 USB slots. The A10 combines CPU with GPU, so you won’t need a separate graphics card. PCPartPicker actually has a calculation tool that figures out how much power your computer is going to need to handle. This one does the job for all the components of this build- in fact is about three times the power you need, so it will happily accommodate a more powerful graphics card if you decide to add a separate one later. This tower is small and lightweight, but large enough that you can fit components without too much difficult. You get USB and audio ports up front, two cooling fans, and comes highly regarded by computer building enthusiasts. Good luck cracking on with your build and remember that whether you’re a first timer or an old hat at building your own PC, it’s always easy to contact an online computer repair service if you need advice. After you complete your build, we highly recommend a VPN.